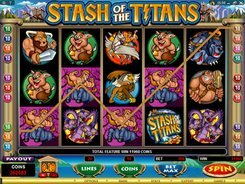 Stash of the Titans is a mythology-based slot with 5 reels and 20 paylines. The cartoonish graphics are fun and humorous all the way with colorful symbols that offer a fun-filled adventure to Ancient Greece. 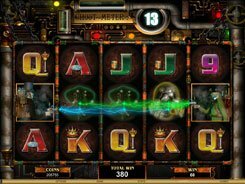 Along with other mythology-themed symbols, the slot has two icons containing Pegasus and Treasure Chest, both functioning as other regular icons do, but also offering a payout for any mixed combination of these two symbols. 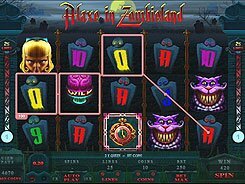 If you get three to five of them across a payline in no particular order, you get up to $700. 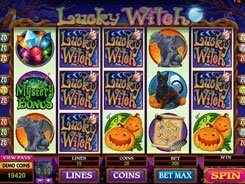 The slot features a wild symbol, a scatter, a free spins round and a top jackpot prize worth $2000. 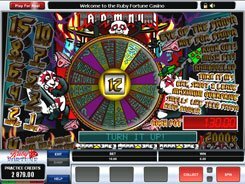 A bet ranges in size from $0.01 to $40 per spin, to suit all bankrolls and budgets. A wild symbol is depicted by the Stash of the Titans logo. A wild has two profitable perks. First, it substitutes for all regular icons helping form winning combos. Second, a wild acts as a multiplier increasing all wins by x2 to x10 times when used as a substitute. A scatter is represented by Medusa. 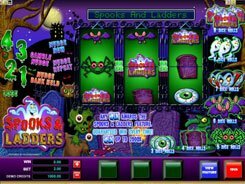 Two to five Medusas pay out up to x50 times a total bet no matter where they have appeared on the reels. 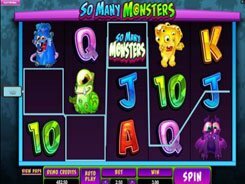 Three or more scatters unlock 15 non-retriggerable free spins with all payouts multiplied by x4.